I have to remember when I visit my friends that they don’t work for a reusable bag company, and therefore they may not be as perpetually conscious about plastic bags as I am! 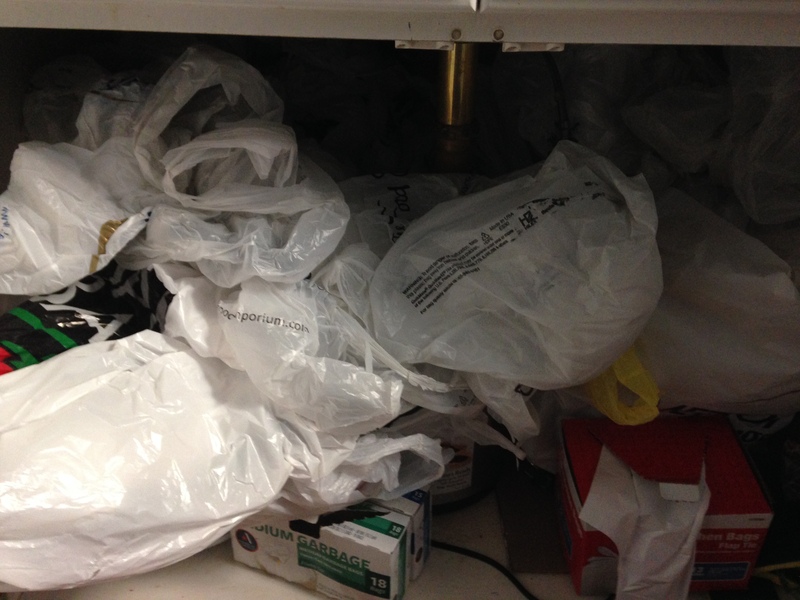 Plastic bags I just had to take a picture of in the kitchen at a friend’s apartment — they just pile up! 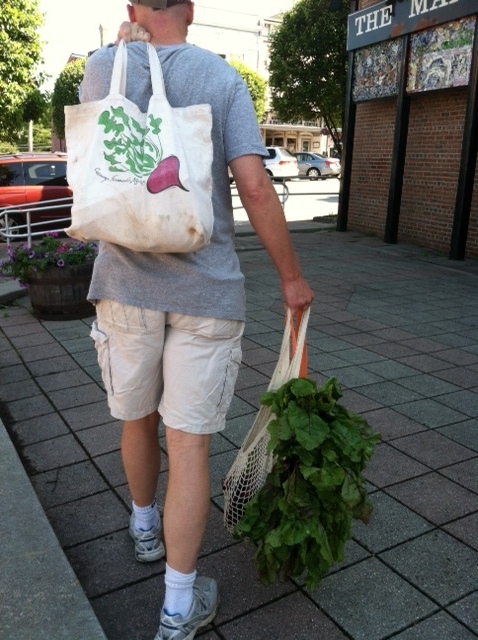 I carry my ECOBAGS® totes everywhere. My favorite is one made from recycled cotton that I used as gifts for this independent film I worked on last summer. It’s a lighter material that fits well into other bags if need be. I see a lot of canvas bags out there too, don’t get me wrong, but I’m looking forward to the day when reusable bags are the go-to choice over plastic! Let’s set the example and BYOBag!